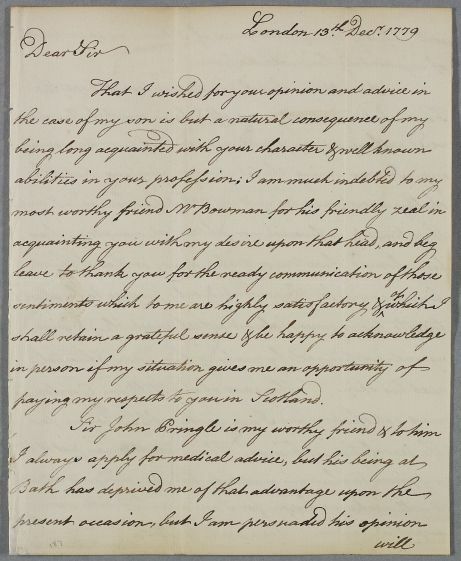 Letter from Roger Stevenson concerning the case of his son whose fever has abated and thanking Cullen for his response. Mentions Sir John Pringle as a mutual friend. 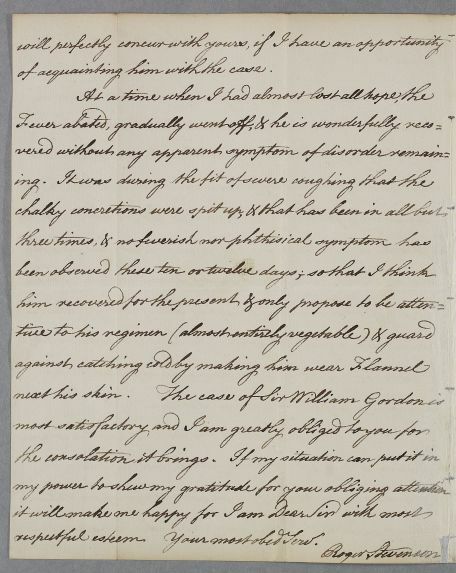 Summary Letter from Roger Stevenson concerning the case of his son whose fever has abated and thanking Cullen for his response. Mentions Sir John Pringle as a mutual friend. 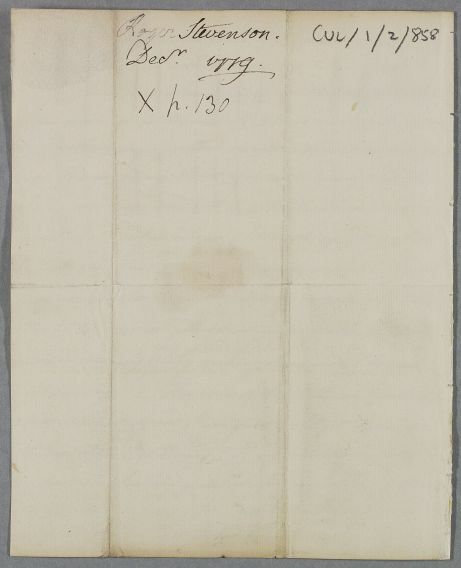 Case of Mr Roger Stevenson, nephew of Glasgow Prof. Alexander Stevenson, who has a pulmonary disorder characterised by the spitting up of 'chalky matter'. paying my respects to you in Scotland. of acquainting him with the case. respectful esteem Your most obed Serv.